Although not as widely known as many popular brand names, Lavazza is an Italian company that produces premium coffee blends along with the machines to make them come to life. As well as removing any room for error by perfecting the extraction and brewing process of their coffees, they design a range of machines, from smaller, at-home models, to large vending machines, and are committed to the entire process of coffee making, including the capsules, the packaging, the recipes and production of the coffee. 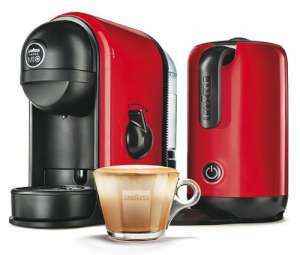 Below we provide Lavazza reviews to help you choose the perfect machine. 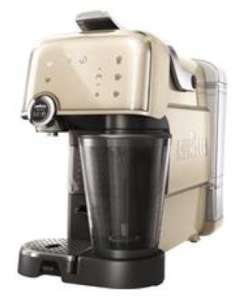 This retro styled machine is everything you need to create authentic Italian-style coffee at home. The touch-sensitive control panel has a variety of pre-set programmes which you can reset to suit your own personal tastes. The integrated frother can work with hot or cold milk and adjust it to your preference, for lattes, cappuccinos or even delicious hot chocolates. This mini coffee machine is designed to fit in even the smallest workspace, and is easily transportable to take away in the campervan or on the road. 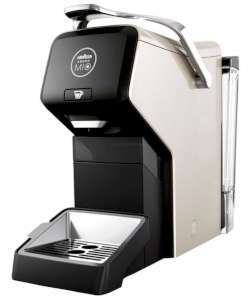 As with other Lavazza coffee machines, it is very simple to use. The stop and go dial settings make it easy to choose your favourite quantity of espresso. The adjustable cup support can be moved to different height settings for different cup sizes. 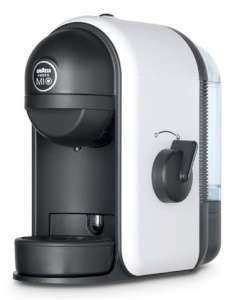 Lavazza have attempted to cater to the entry level market with this machine, making it affordable to try out the brand. It has a simple, slim-line design and an 0.8 L detachable water tank, which sits at the rear.It is very user friendly, with only one button for stop and go, and no chance to get confused. This manual stop and start allows you to make your coffee as long, or short, as you like. With the Integrated Magnetic Induction Milk Frother, you can make a broader range of drinks: everything that can be purchased at a coffee shop can be made in the comfort of your own home. The Stop and Go Knob gives you control over the amount of espresso you want.The machine is stylishly curvaceous and available in red, blue or white. 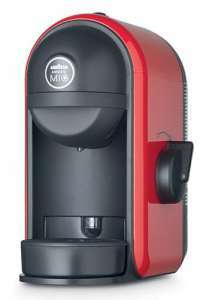 This adorable Minu machine still packs a powerful punch when it comes to delicious coffee. It is really simple to clean, and easy to empty and replace the capsules, as well as refill the water tank. All removable parts are dishwasher safe.The Stop & Go Knob gives you control over your coffee size, and there is an automatic switch off after 2 minutes of inactivity. Users comment that the machine is a wee bit noisy when in operation. 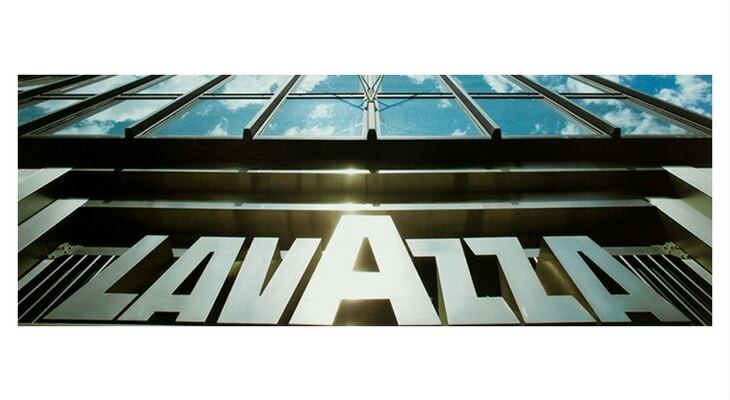 Lavazza reviews consistently mention the amazing quality and taste provided by the Lavazza brand. As with most pod or capsule machines, they are only compatible with the same brand pods, but that is a good thing in this case, as these pods contain high quality, fresh and delicious flavours of Italian blended coffee. The pods tend to be a bit more expensive than some other, more common brands, but that is due to the fact you are paying for a quality product, and it still works out to be cheaper than a daily visit to a café for your coffee fix.